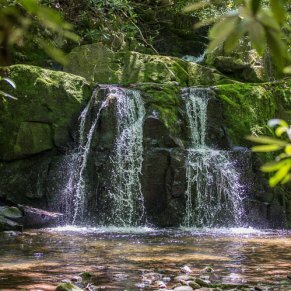 The West Prong Trail is a moderately difficult, 5.4 mile hike in the Tremont area. 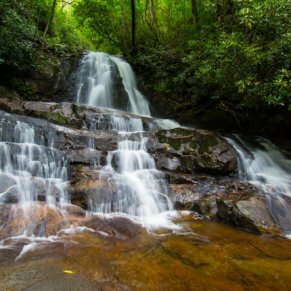 This hike gains nearly 1,375 feet with several ascents and descents, but the effort is rewarded by the sounds of the peaceful river and water views. Decisions, decisions. 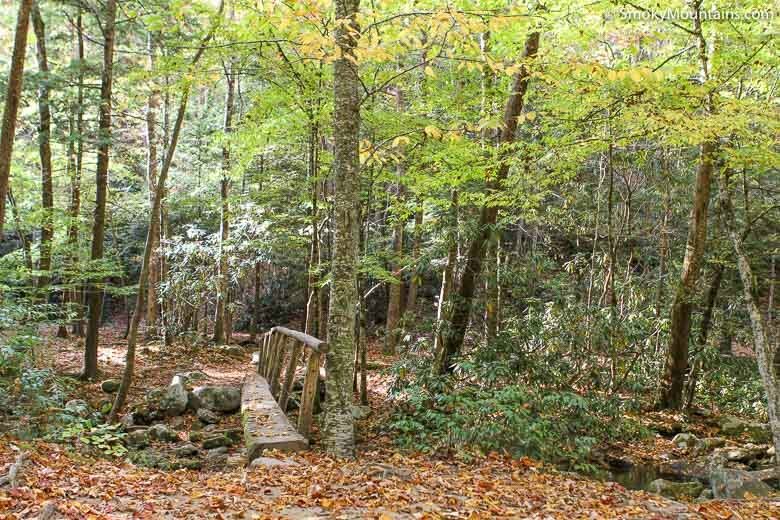 The West Prong Trail offers you several options. 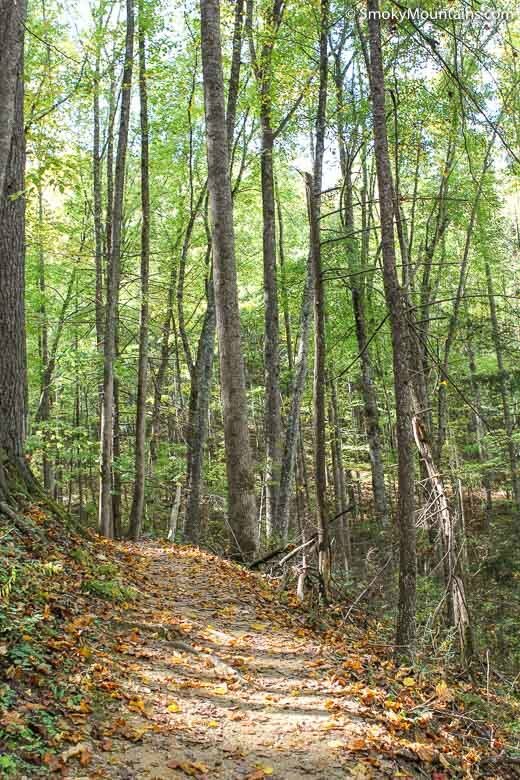 You can, for example, enjoy this wooded trail as a relatively short in-and-back hike. 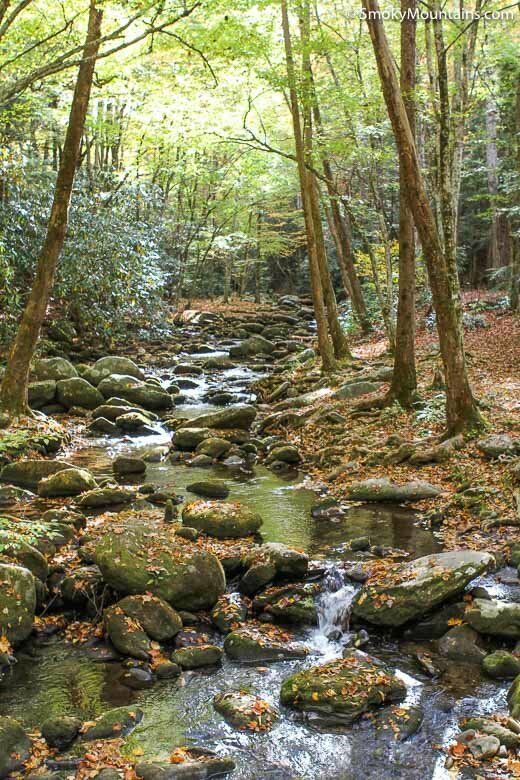 The West Prong is a pretty trail, especially in the spring when the rhododendron are in bloom. And at just 5.4 miles round trip, it is also a nice length for a family hike. 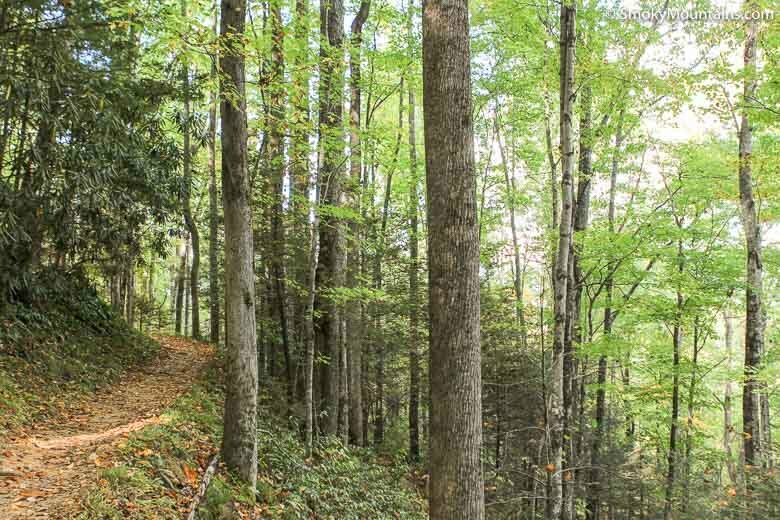 Or if you’re looking for a longer hike, you could use the West Prong Trail to connect with other paths when you reach its juncture with Bote Mountain Trail. 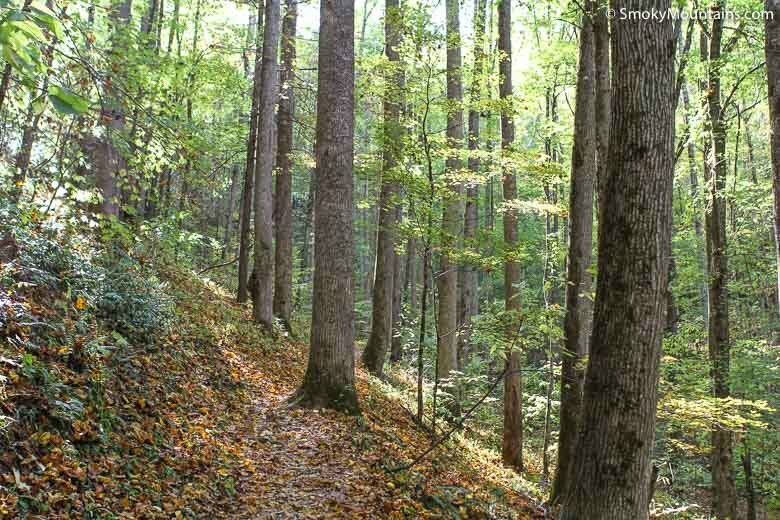 At that point, you could choose to either follow Bote Mountain Trail to the right, which will take you to Laurel Creek Road. 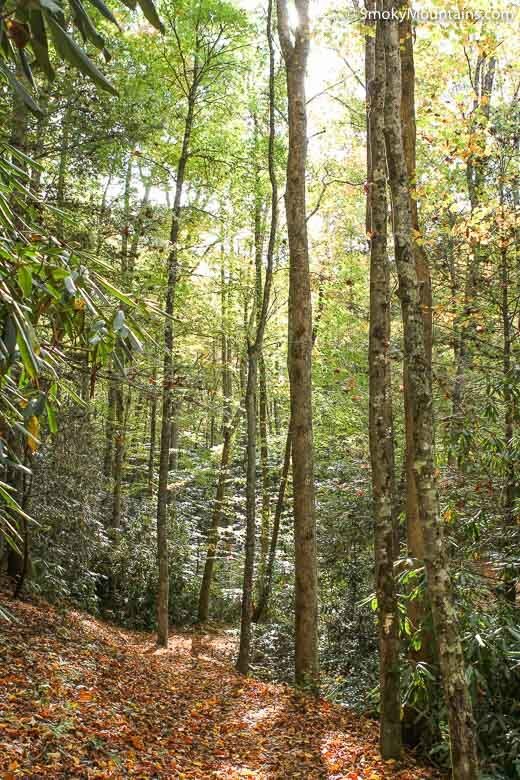 Or you could instead take a left on Bote Mountain Trail, which will lead you to the Appalachian Trail at Spence Field. Another option? 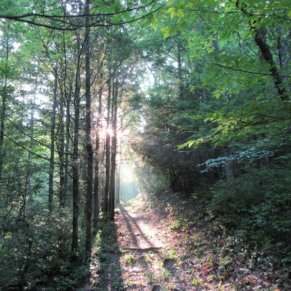 If you like camping, you can take the West Prong Trail to Backcountry Campsite 18. There are several campsites here, with a capacity of 12. The most popular sites are, not surprisingly, alongside the river. But if you’re looking for bear cables or a setting away from the main trail area, head to the back section of this campsite. The distance from the trailhead to Campsite 18 is a mere 2.1 miles. 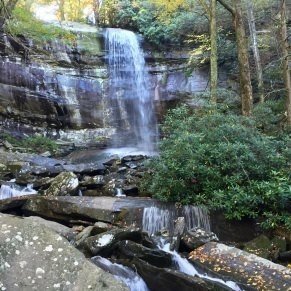 This trail, which derives its name from the West Prong of the Little River, has a total elevation gain of 1375 feet and a difficulty rating of moderate. 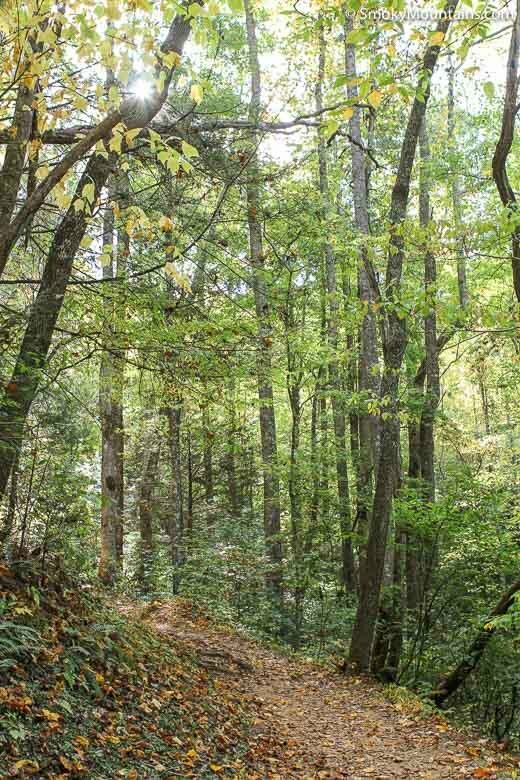 The beginning of this hike is a steady climb of approximately 625 feet over the first 1.4 miles. During this ascent of the the northern slopes of Fodderstack Mountain, there will be occasional openings where you can enjoy views of the surrounding area. 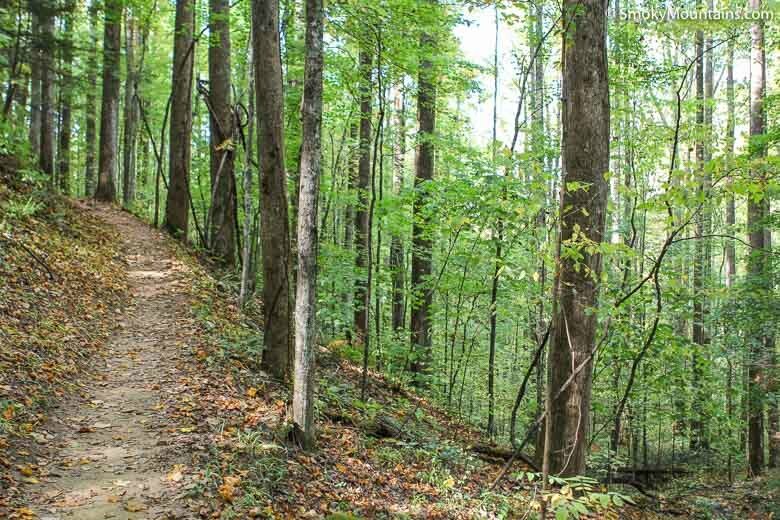 At about the three-tenths of a mile point of this hike, you will come upon a fork in the trail. If you decide to go to the right, you can take a short detour to an old cemetery that is still used by local families today. Or you can just continue on the West Prong by heading to your left. 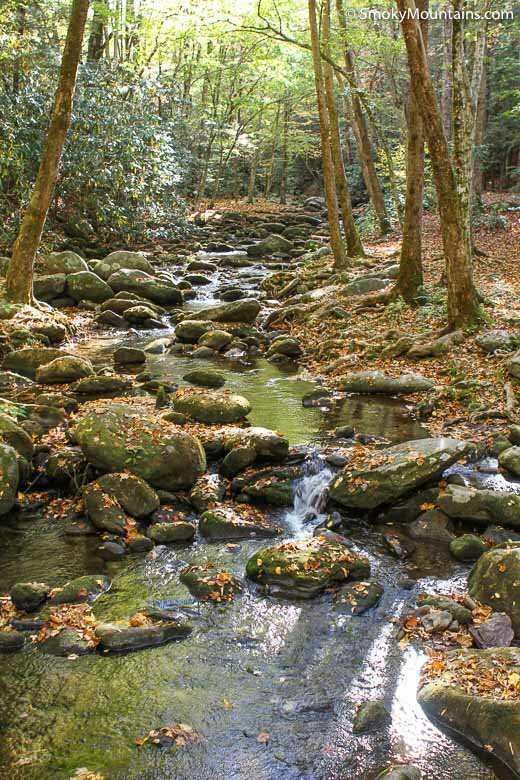 A little past the one-mile mark, the trail begins descending down towards the West Prong of the Little River. 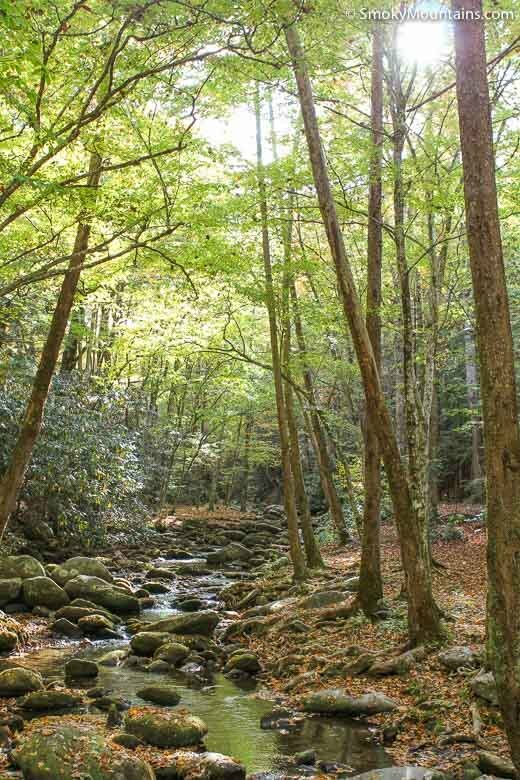 About two miles into your hike, you will come upon a small creek that does not have a bridge. If you’re wearing Tevas, no problem. 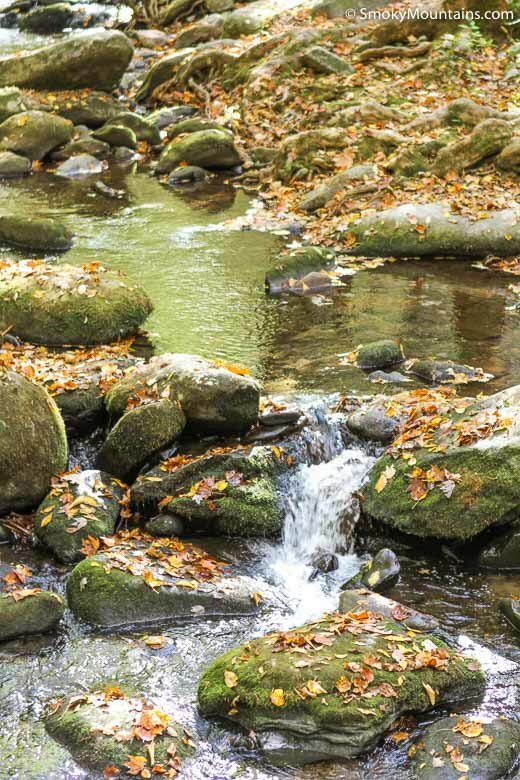 But if you want to keep your feet dry, you’ll just have to cross the creek by hopping from one exposed rock or log to another. Campsite 18 is located just on the other side of this crossing. So if you’re camping, it’s time to pick out a site to pitch your tent. Campsite 18 is also a nice place to stop for a picnic lunch. 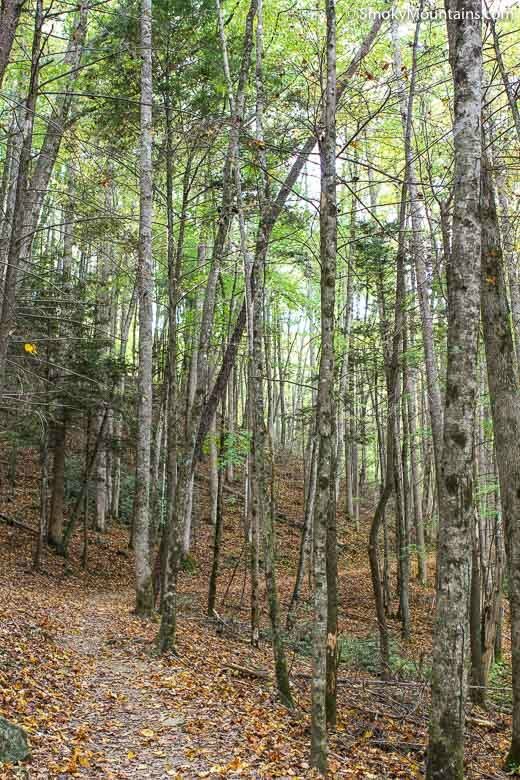 From Campsite 18, it can be a little difficult to pick up the West Prong Trail again as it is not clearly marked. 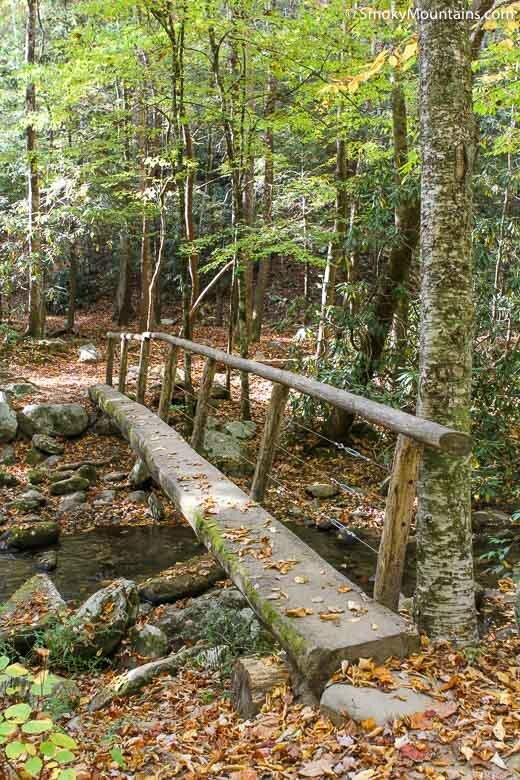 To find the trail, you’ll first cross a footbridge that is located in the middle of the campground, then head to your right. Look for a “Caution, Bears in this Area” sign that is posted on a tree. 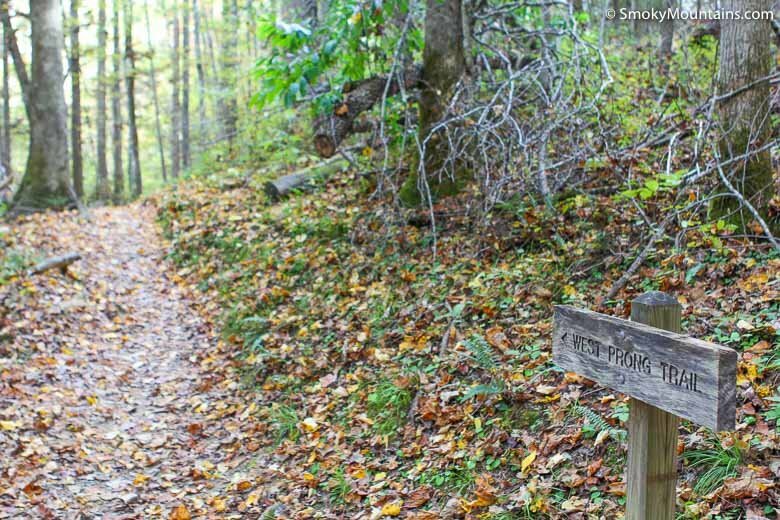 The continuation of the West Prong Trail is just to the right of that tree and sign. 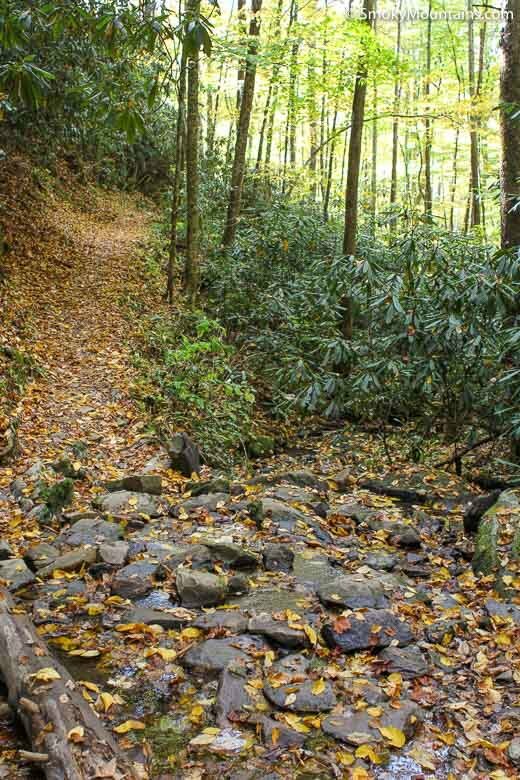 At the 2.7 mile mark, the West Prong Trail ends at its juncture with the Bote Mountain Trail. 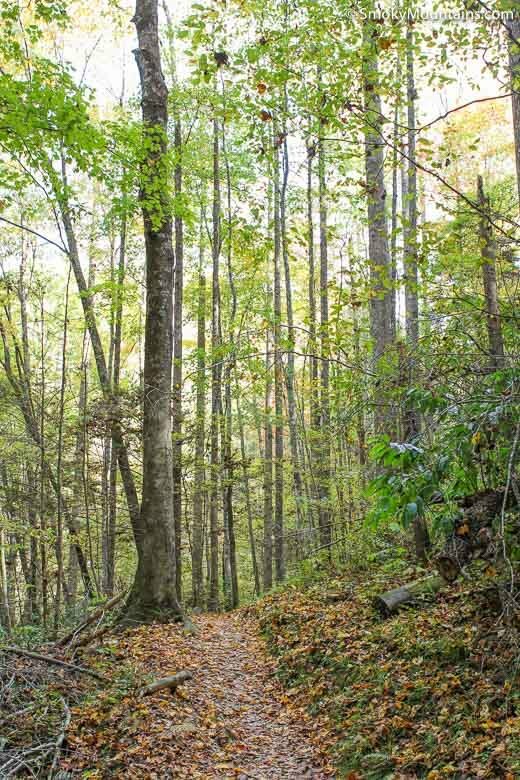 The trailhead for the West Prong Trail is located just across the Middle Prong from the Great Smoky Mountain Institute at Tremont. 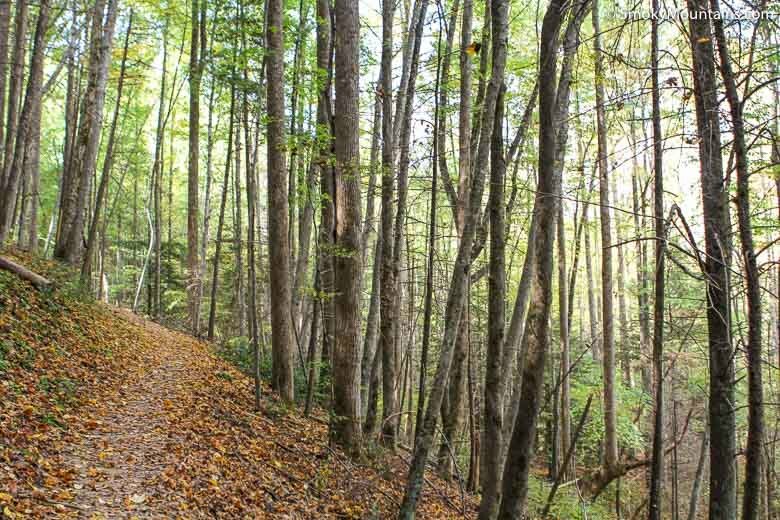 To reach the trailhead, drive towards Cades Cove. When you are about two-tenths of a mile from the Townsend Y, you’ll take a left onto Tremont Road and then continue driving for two miles. 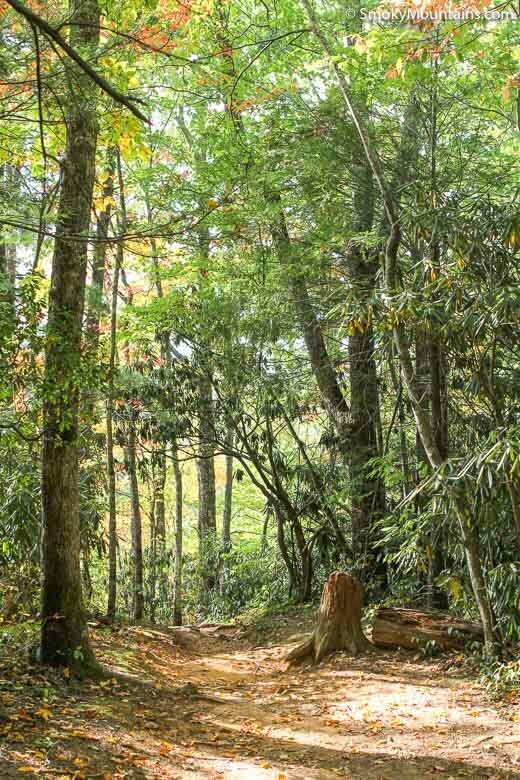 The trailhead is located on the right, just before the entrance to the Great Smoky Mountain Institute at Tremont. There is a small parking lot that can accommodate about a half dozen cars. 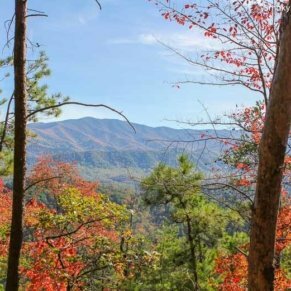 If the lot is full, the Great Smoky Mountain Institute allows parking for hikers, even overnight campers. 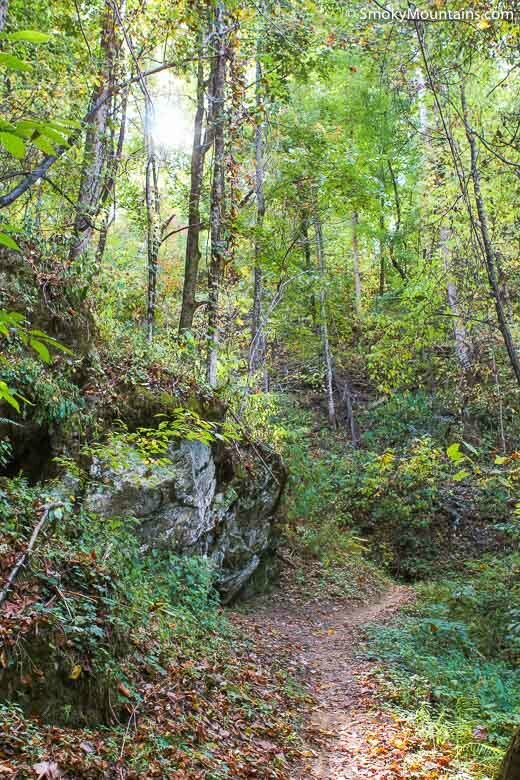 -You may come upon some wild creatures on this trail, including deer, black bear and wild hogs. -Nature is unpredictable. 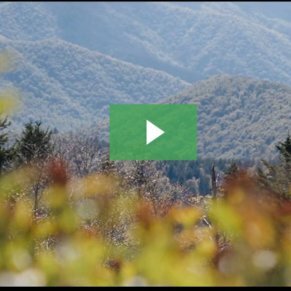 That is why it’s always important to consult the Great Smoky Mountains National Park website for any new alerts that may be in effect. 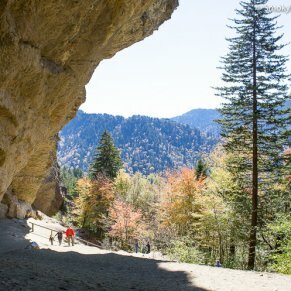 This site will give you information on road, trail and facilities that have been closed for various reasons, including for weather, construction projects, bear activity or fire.